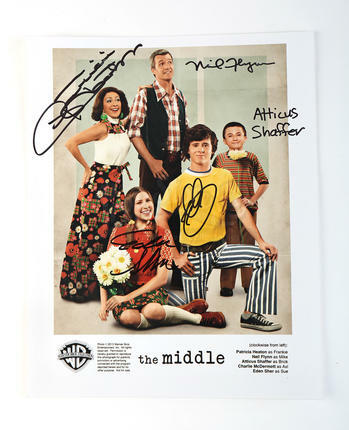 A signed photo of the cast of the hit comedy series The Middle. 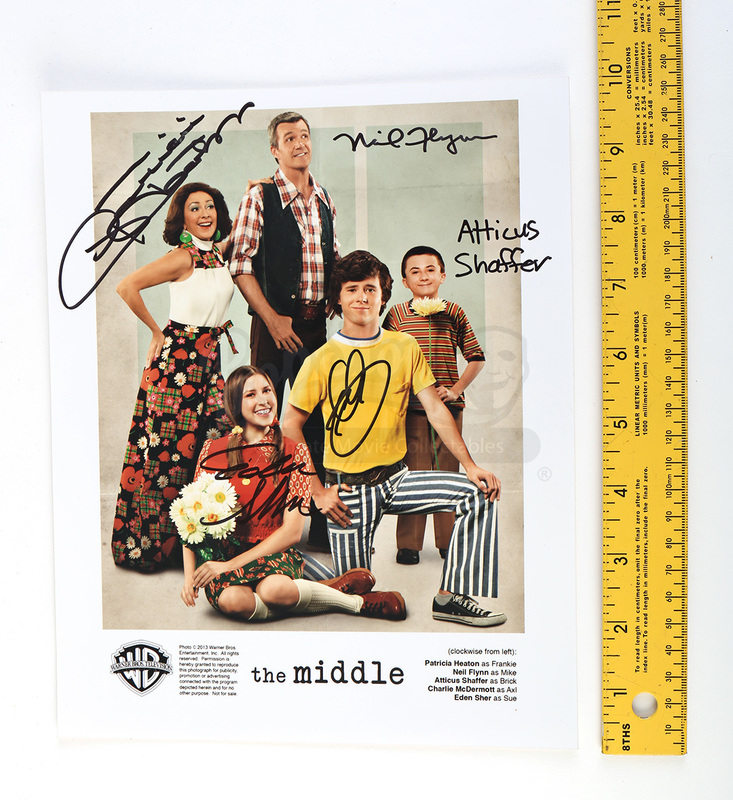 The series follows the daily light-hearted struggles of a middle-class family living in the midwest. The photo features Patricia Heaton, Neil Flynn, Atticus Shaffer, Charlie McDermott and Eden Sher and each actor's autograph alongside their image. 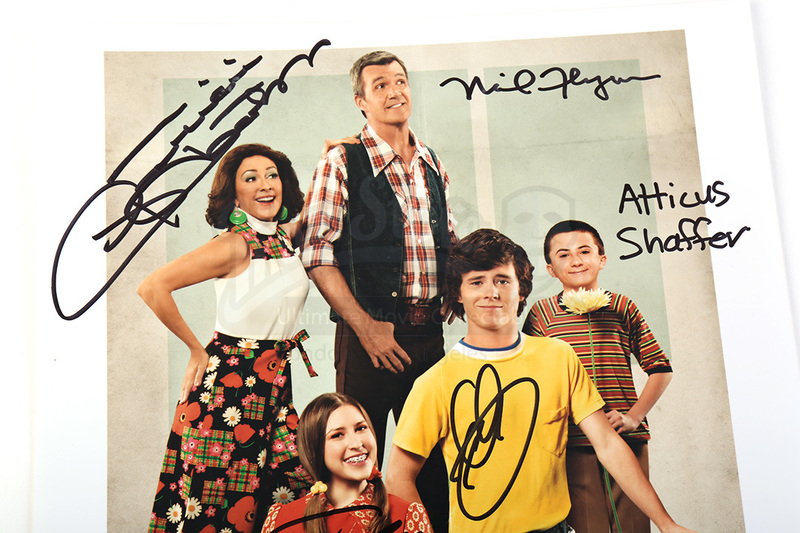 The photo shows minimal signs of wear and remains in excellent condition.